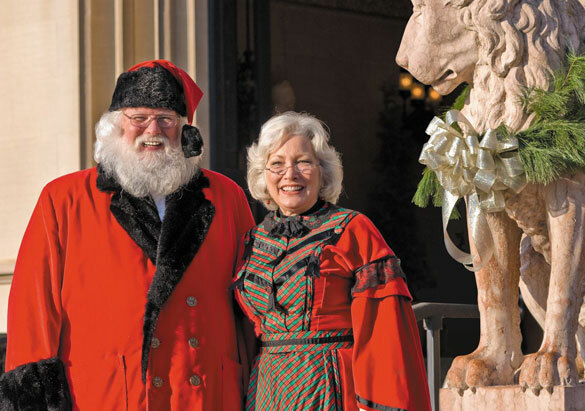 Christmas has always been celebrated in grand style at Biltmore, beginning with the opening of Biltmore House on Christmas Eve 1895 and continuing today with Christmas at Biltmore. The festivities have always included friends and family, plus a special party for employees of the estate. 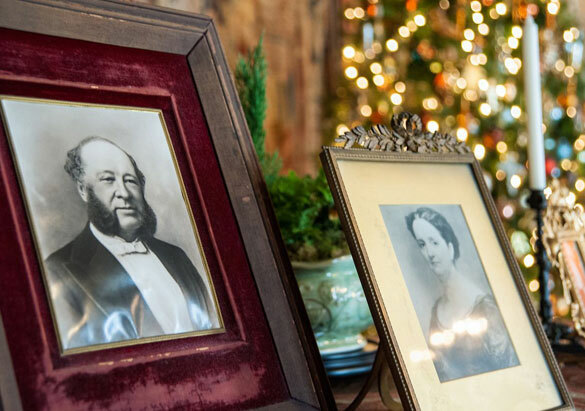 While George Vanderbilt was still a bachelor, he enlisted the help of Mrs. Charles McNamee, the wife of his friend who assisted in purchasing land for the estate, to provide Christmas gifts for 300–500 guests, including estate workers and their families. 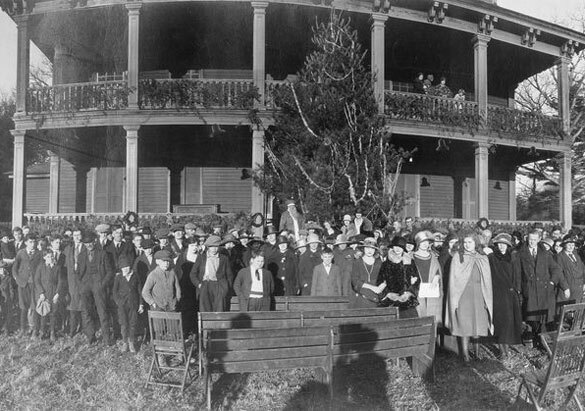 Mr. Vanderbilt greeted everyone in the Banquet Hall on Christmas afternoon, and members of his own family helped distribute the gifts which included Christmas trees and trimmings for estate employees to decorate their own homes. 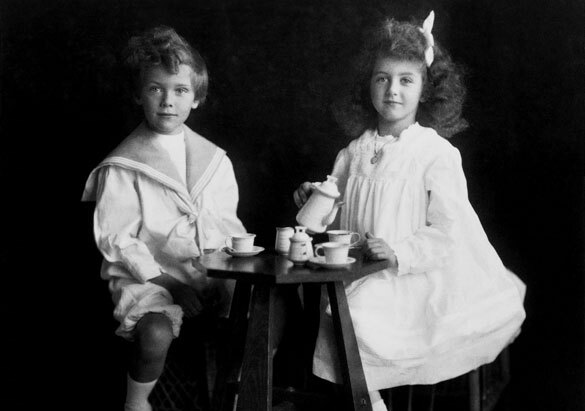 Edith and Cornelia Vanderbilt continued the employee Christmas parties even after George Vanderbilt passed away in 1914. In 1916, the event took place outdoors at Antler Hall—a large home originally located where The Inn on Biltmore Estate™ now sits. In the archival photograph featured here, you can see Edith Vanderbilt just to the right of center wearing a dark hat, and Cornelia to her left in a white hat. Today, more than a century after the first holiday festivities at Biltmore, we continue to host our annual Christmas party for employees. It is still a grand occasion with gifts for the children, visits with Santa and Mrs. Claus, and delicious refreshments—and a wonderful opportunity to see America's Largest Home® lit by the glow of candles and firelight during Candlelight Christmas Evenings.